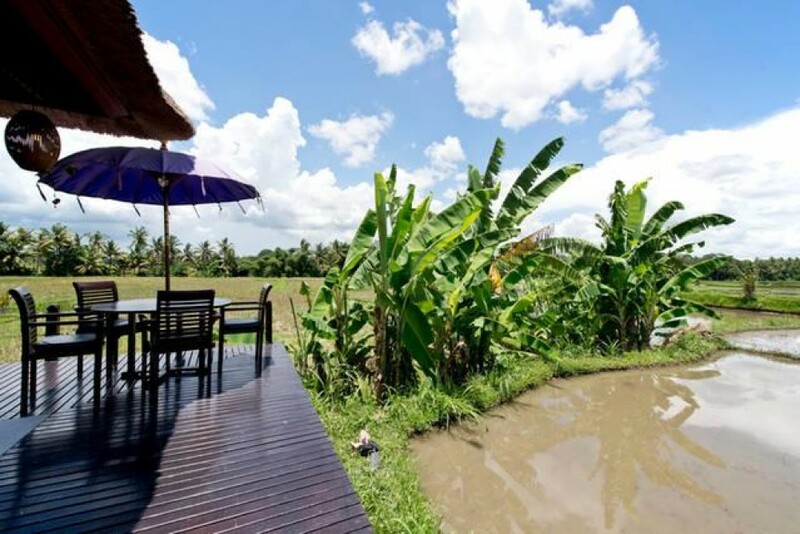 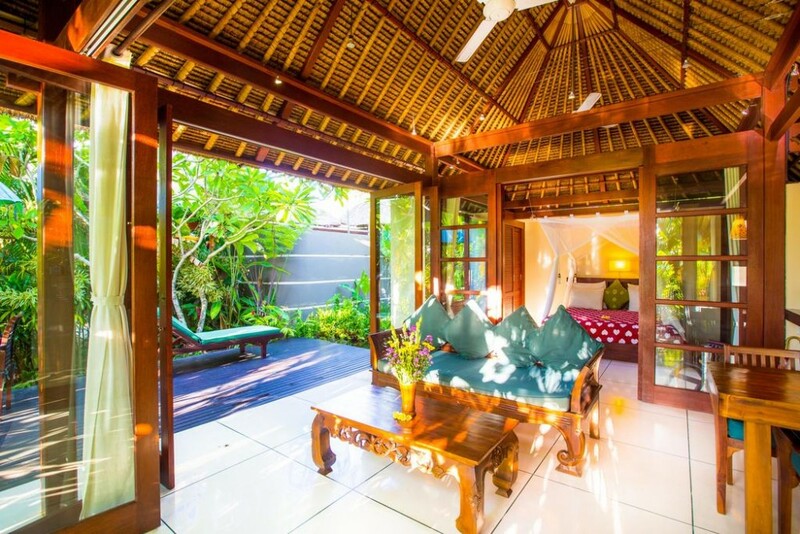 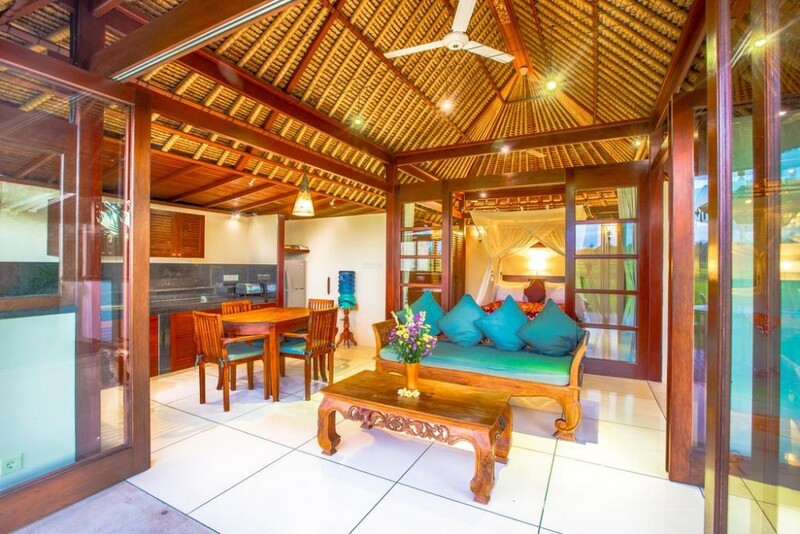 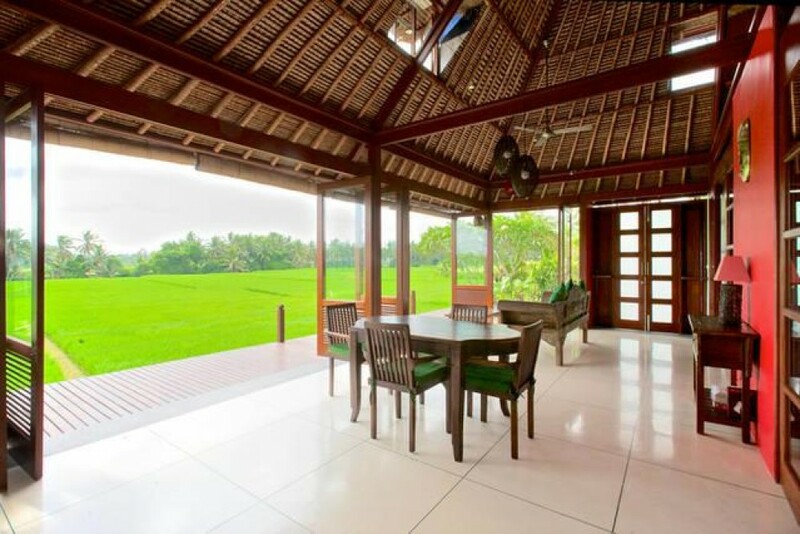 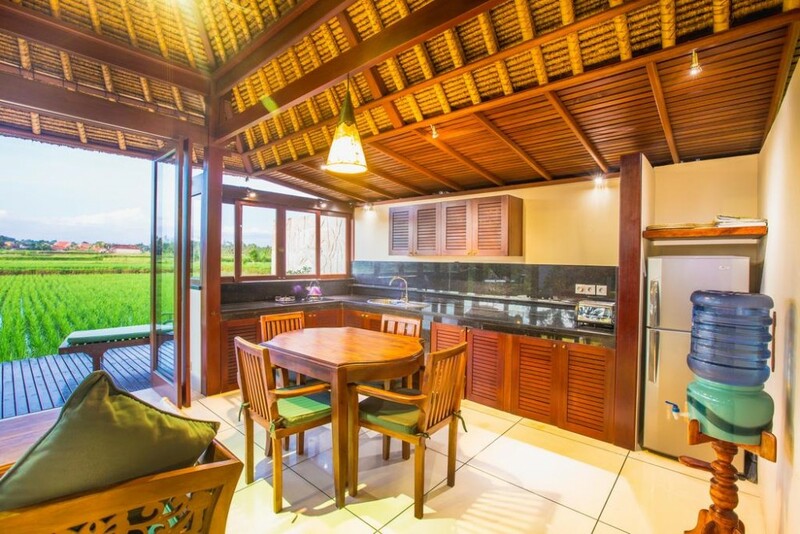 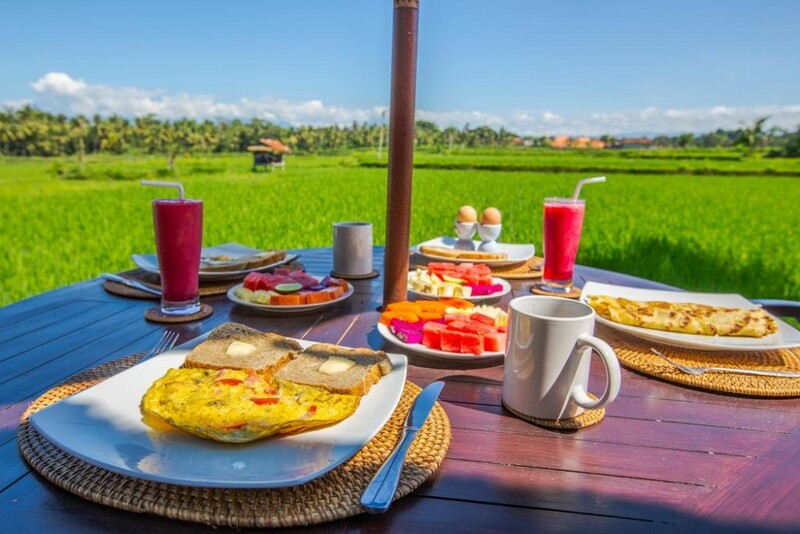 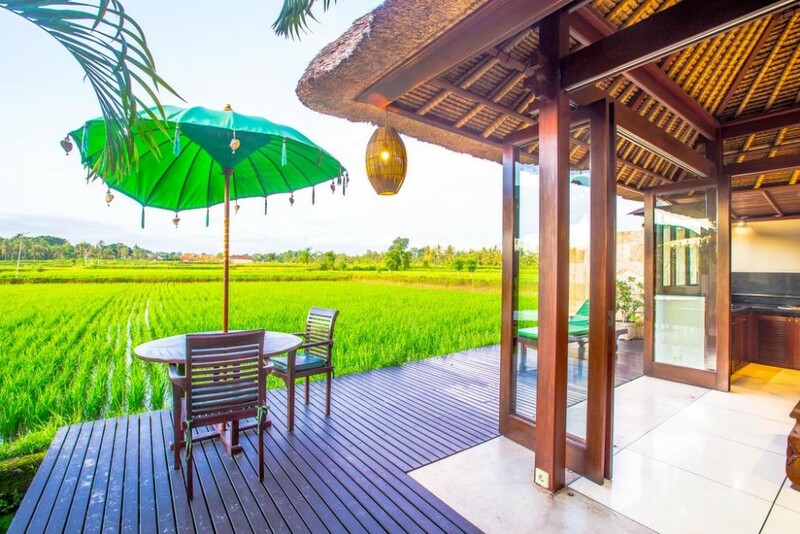 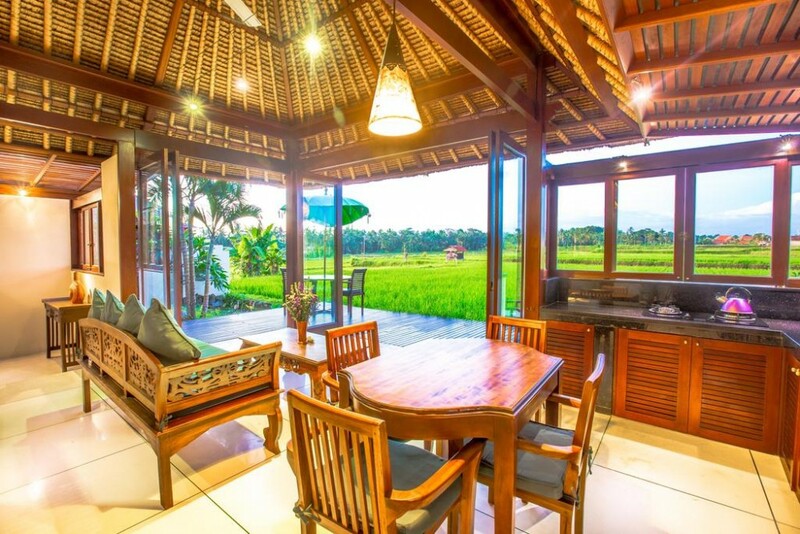 investment opportunity This complex is composed of five beautiful and private luxury villas set on the edge of a huge rice paddy in the village of Lodtunduh, about 2.5 km from Ubud. 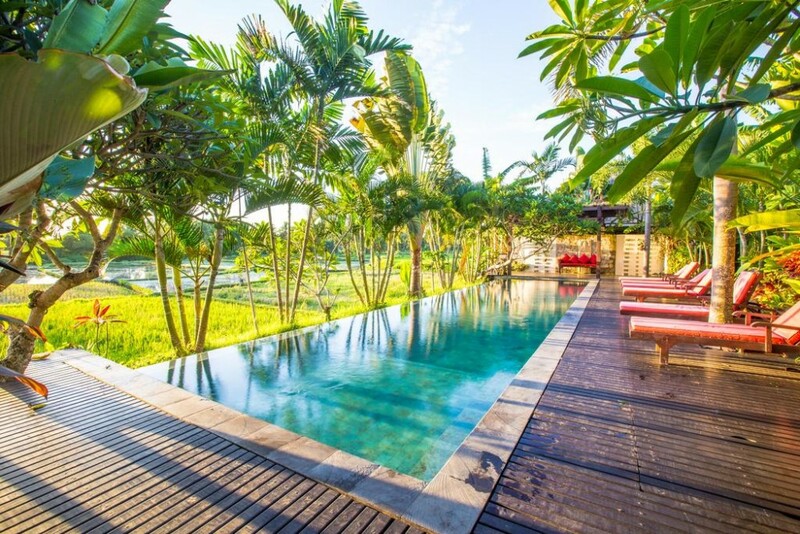 It's a quiet contemplative place to unwind, yet only minutes from the cultural capital of Ubud. 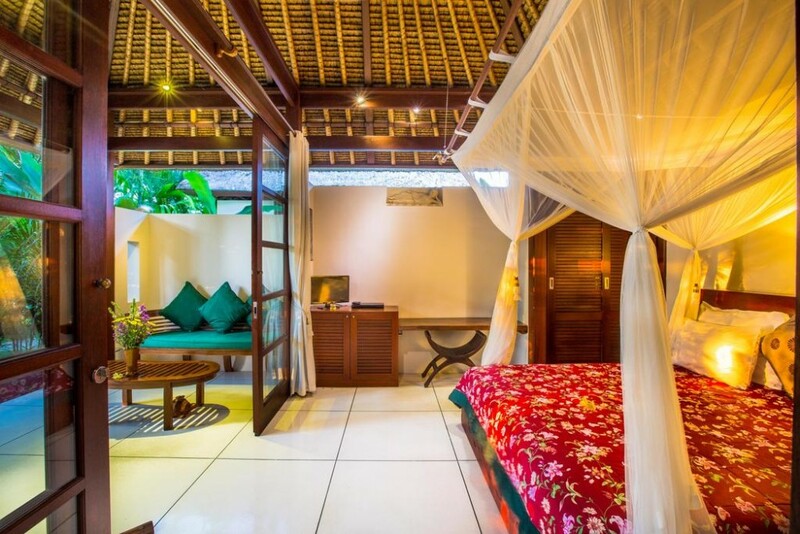 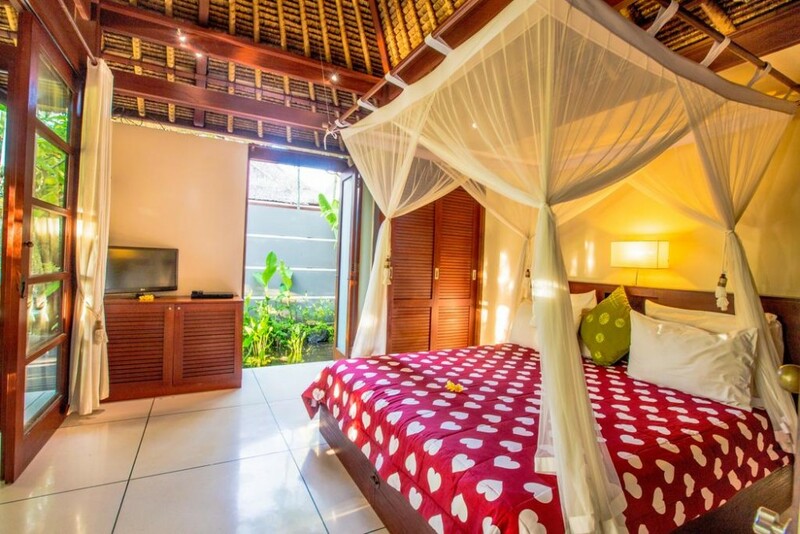 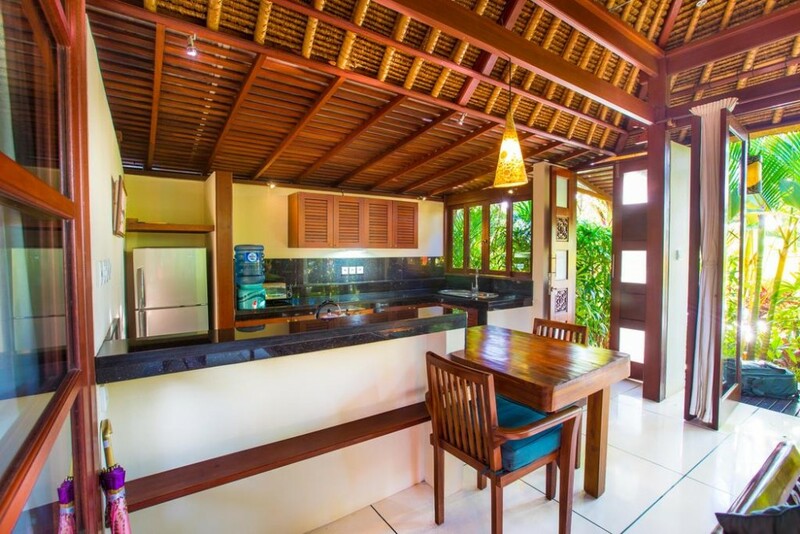 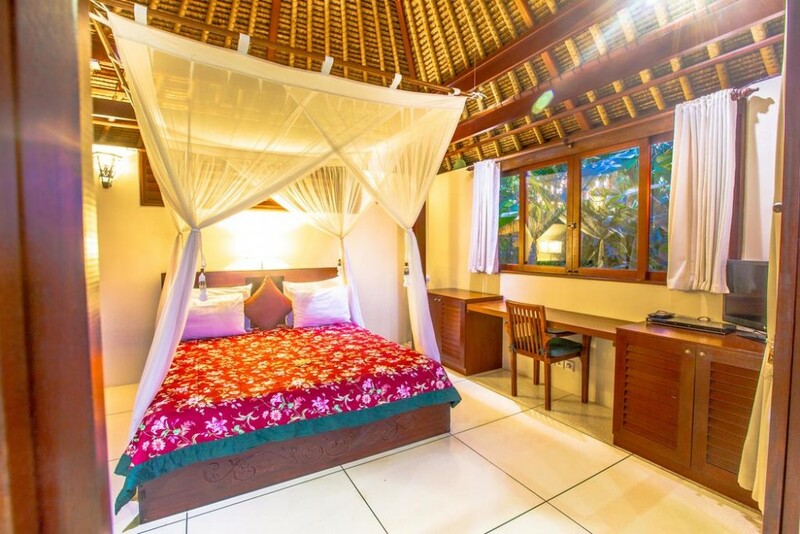 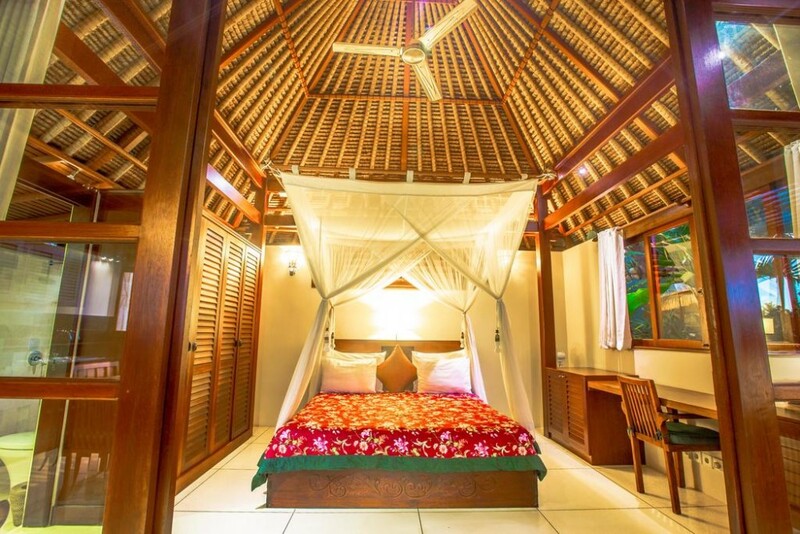 The villas are the perfect setting for an individual stay, a yoga retreat, family get together, corporate meeting or wedding, tastefully furnished in tropical modern minimalist style. 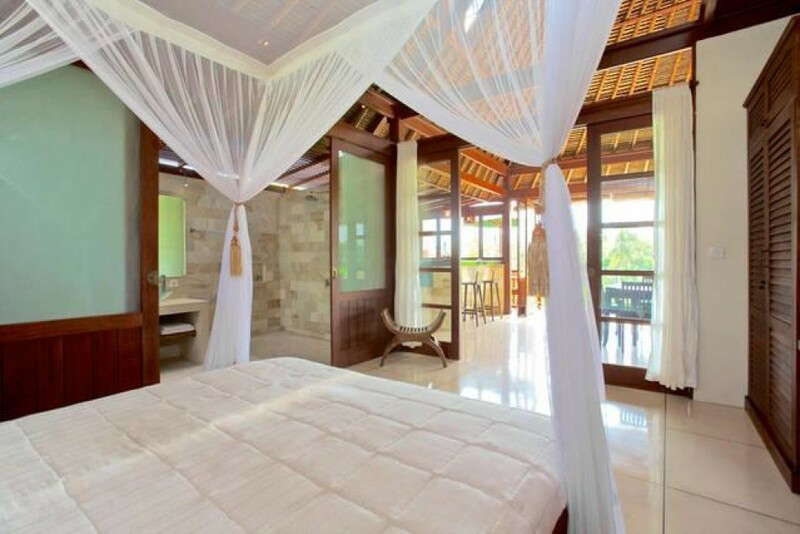 Soaring bamboo interior roof structures, granite kitchens and terrazzo floors, designer gardens and stone bathrooms for each beautifully luxurious bedroom. 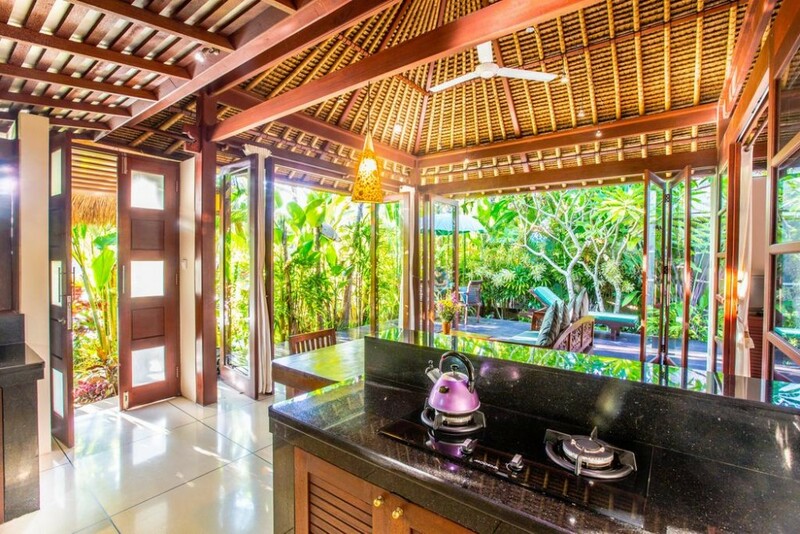 Private decks for serious unwinding, a private waterfall, a meditation garden, lush landscaping and a large yoga deck are just some of our many amenities. 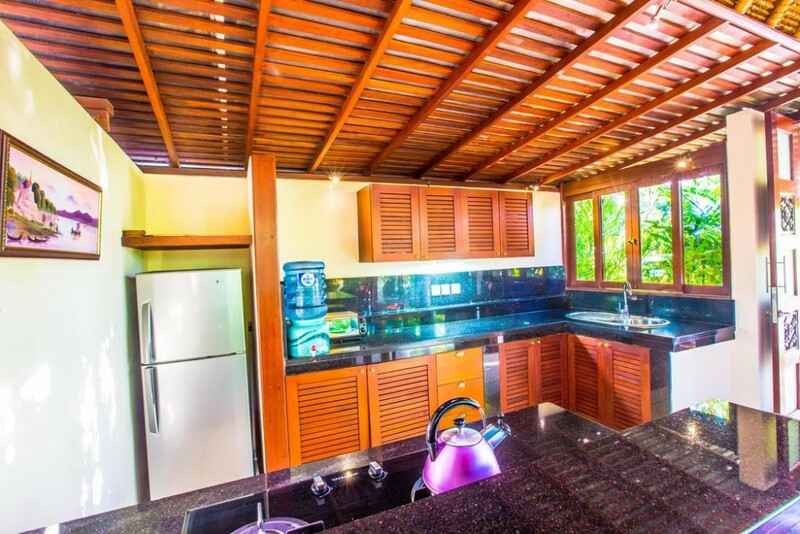 Kitchens are equipped. 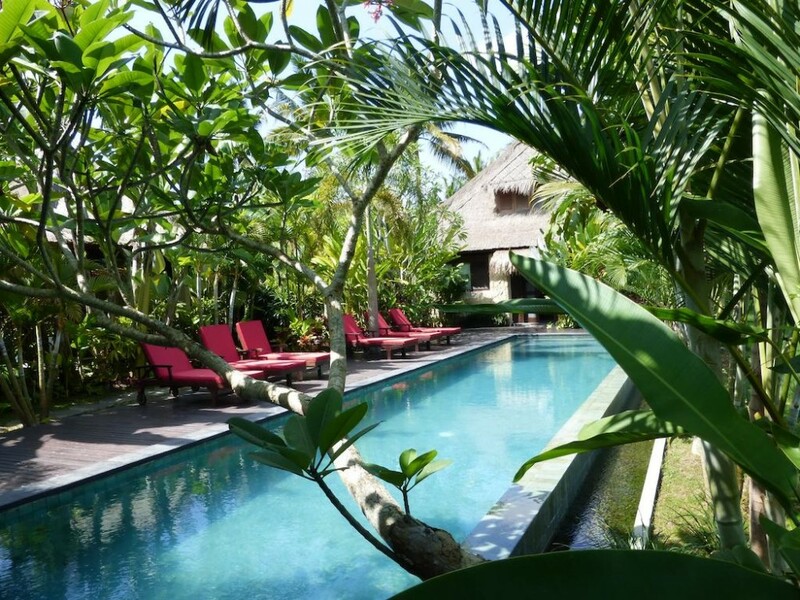 All villas are steps away from the stunning 15 meter infinity pool, situated on the very edge of the bluff overlooking the rice. 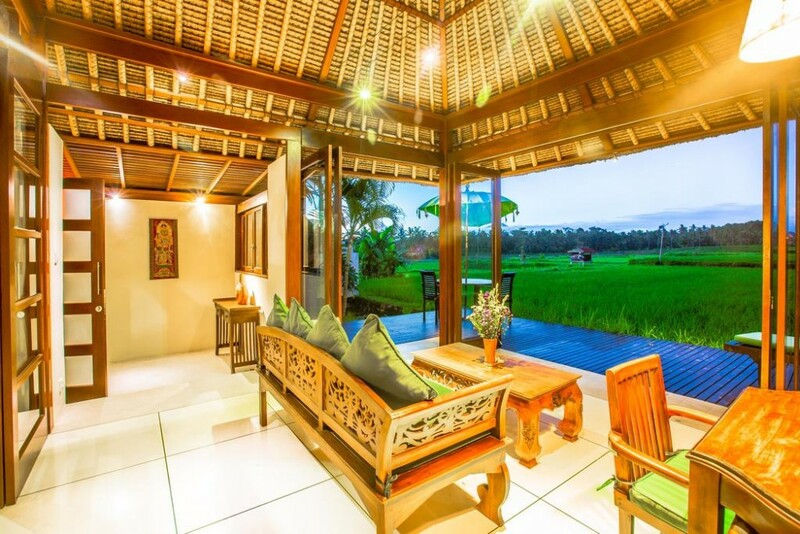 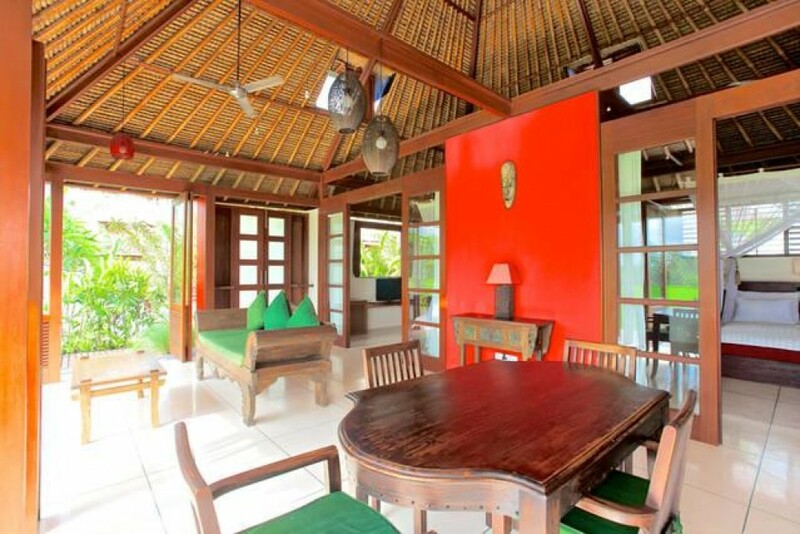 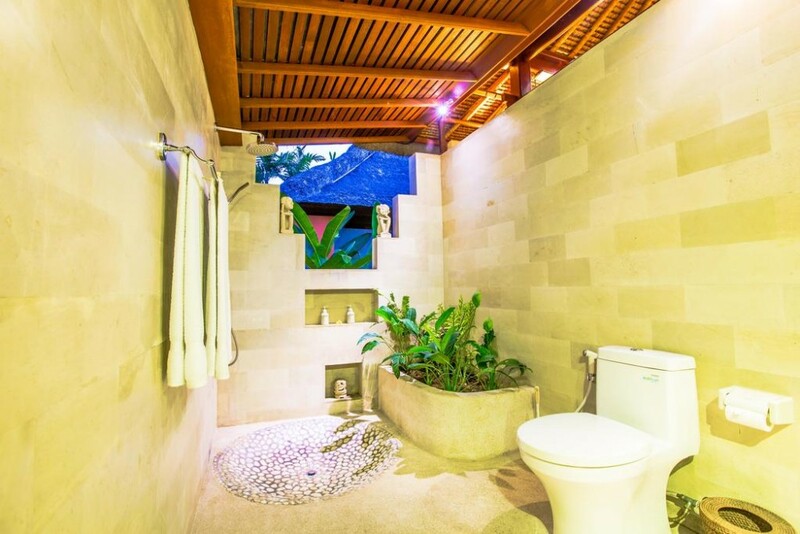 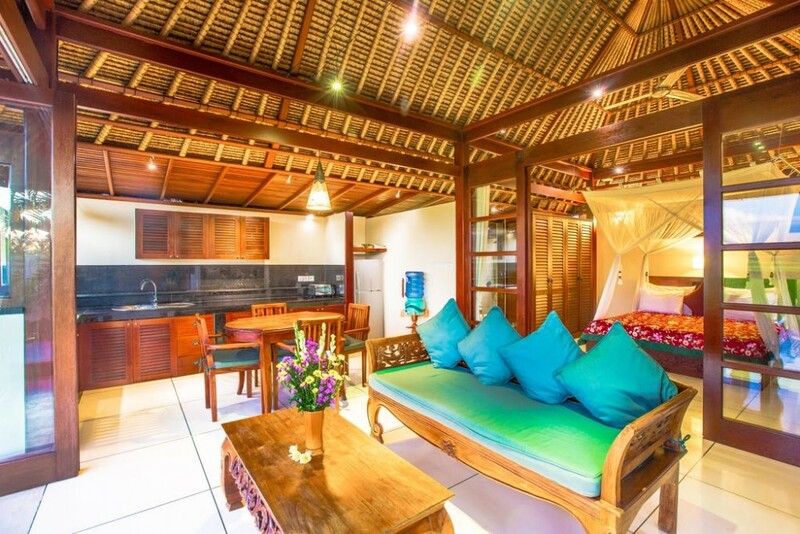 All villas have high speed internet 2 villas with 2 bedrooms, 3 villas with 1 bedroom.